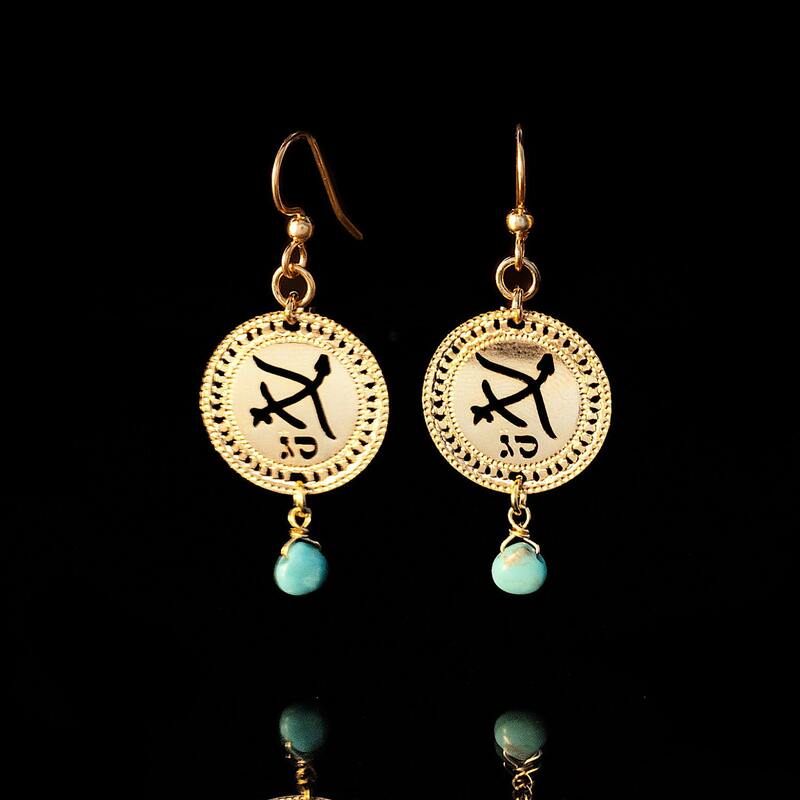 Zodiac Gold earrings with the Sagittarius symbol. The circle is about 3/4 inch wide and the total length is about 1.25 inches. These lovely chic earrings feature both the Kabbalistic letters of the month in Hebrew AND the birthstone of the month: November 22 - December 21. Also see the matching necklace. A perfect gift for the holidays for your loved ones! Thank you for looking at my gold zodiac earrings! I also make other beautiful jewelry in my shop, and I'd love for you to stop by and check out the rest of the jewelry sometime.